Earlier this Fall, Jenna Coleman announced that she was – for real this time – leaving Doctor Who. 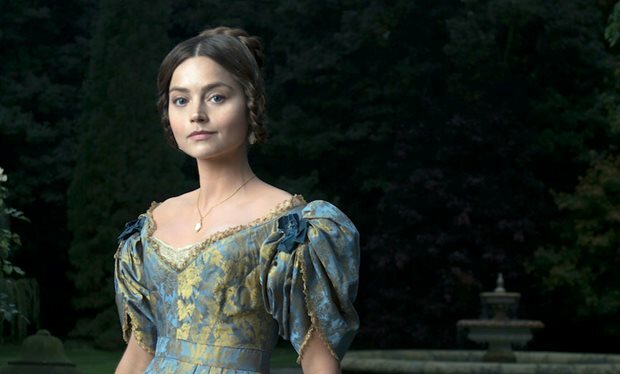 The reason that she’d decided to hang up her TARDIS key turned out to be a pretty good one –she’d been cast as the lead in ITV’s lavish eight-part drama based on the life of Queen Victoria. Now Rufus Sewell (Zen, The Man in the High Castle) has officially joined the cast as Lord Melbourne, Victoria’s first Prime Minister. The two immediately connected and their close friendship became a popular source of gossip that threatened to destabilize the Government, angering both Tory and Whigs alike. Coleman and Sewell are joined by a stellar ensemble cast that includes Peter Firth (MI-5) as Victoria’s conniving uncle Lord Cumberland, Eve Myles (Torchwood, Broadchurch) as her senior dresser Mrs. Jenkins, Paul Rhys (Being Human) as Sir John Conroy, ambitious controller of Victoria’s childhood household, and Catherine Flemming (Simone’s Labyrinth) as Queen Victoria’s mother, the Duchess of Kent. Thoughts - on the series itself or Coleman in particular? Hit the comments. New Jenna Coleman drama "The Cry" gets a U.S. release date.